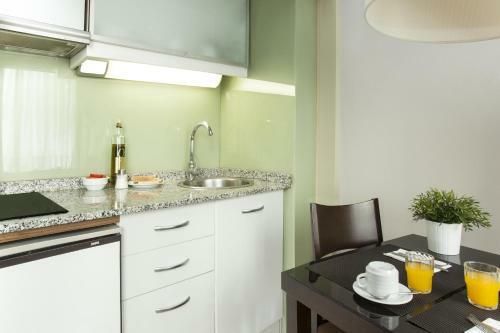 The Aparthotel Senator Barcelona is situated on Via Augusta, in a pleasant residential area, a 2-minute walk from Muntaner Train Station. 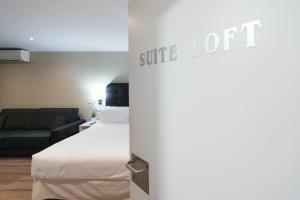 It includes air conditioning, heating, and free Wi-Fi in hotel rooms. 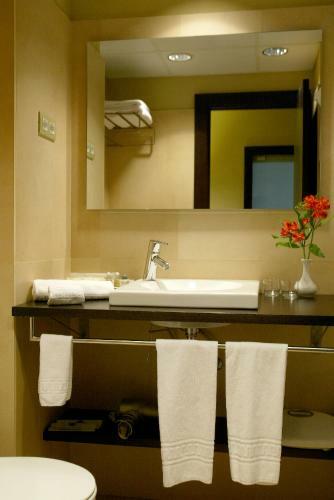 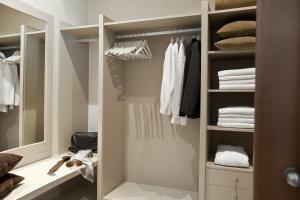 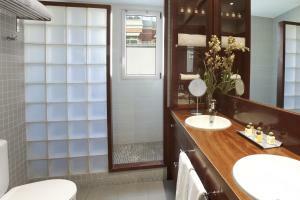 All rooms and apartments have a TV, telephone, and a private bathroom with a bathtub or a shower. 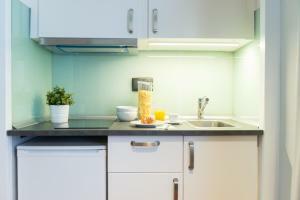 The apartments also include an equipped with kitchenette. A 6-minute train ride will take you to Plaza Cataluña and Barcelona city centre. Sagrada Familia Cathedral is 3.3 km away. This apartment comes with 1 bedroom with parquet floors and a private bathroom. 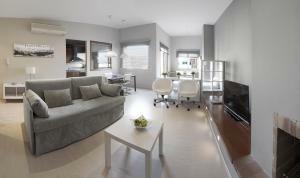 There is a kitchenette and living area. Rate: € 91.80 ... € 339.80; select dates below to get current rates. This apartment has a bedroom with parquet floors and a private bathroom. 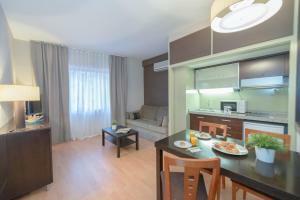 There is a kitchenette and living area. 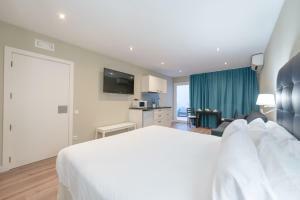 Rate: € 79.00 ... € 999.00; select dates below to get current rates. 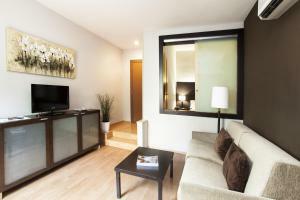 Rate: € 148.33 ... € 218.82; select dates below to get current rates. 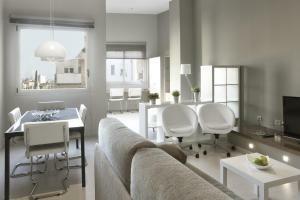 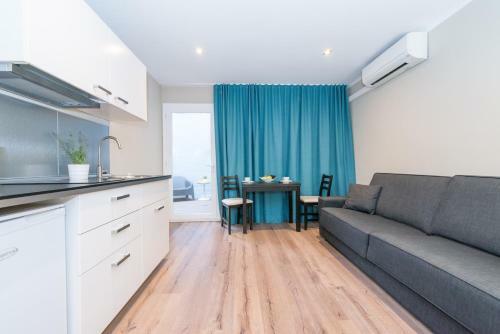 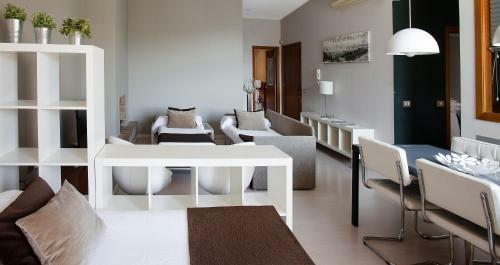 This apartment accommodates 2 adults and 2 children of up to 12 years of age. 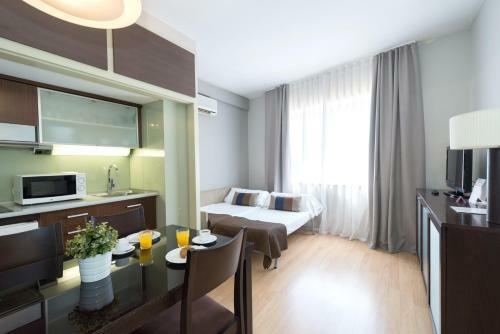 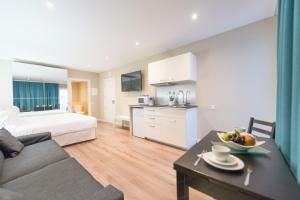 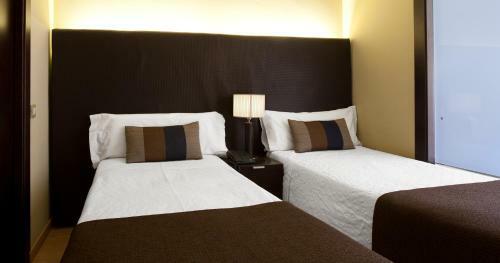 This twin/double room features air conditioning, flat-screen TV and kitchenware. Rate: € 85.00 ... € 587.00; select dates below to get current rates. 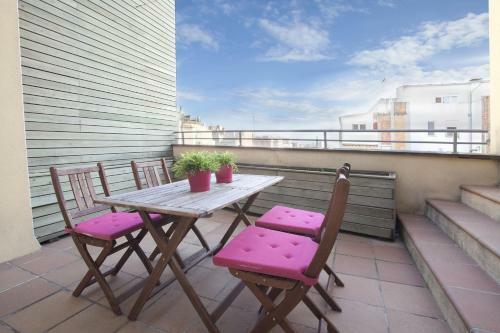 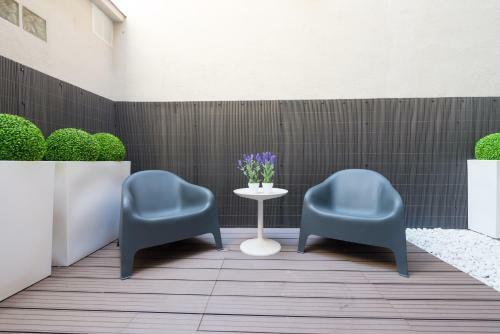 This apartment features a terrace, a living room with a spacious sofa bed, and LCD TV. 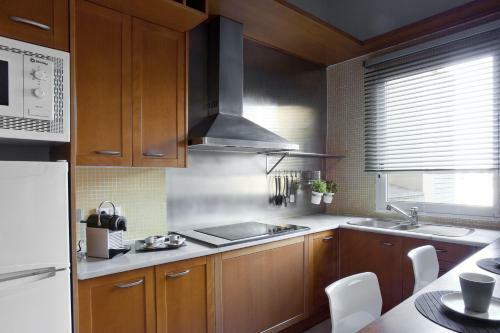 There is a well-equipped kitchen.